Groundwork Somerville’s Mobile Farmers Market delivers affordable, fresh produce to eight locations throughout the city of Somerville by bicycle and van. Prices are comparable to that of lower-priced grocery stores. Customers can pay for their fresh produce with SNAP benefits or debit cards, making it easier for low-income families. 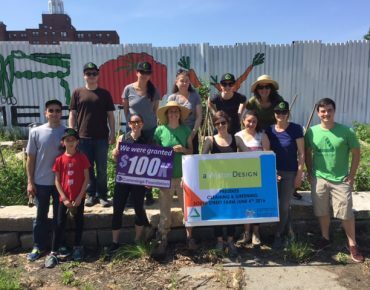 Some of the food comes from Groundwork Somerville’s own South Street Farm, Somerville’s first urban farm Since 2011, Groundwork Somerville’s Green Team and community volunteers have transformed two barren, paved parking lots on South Street into an abundant food forest. 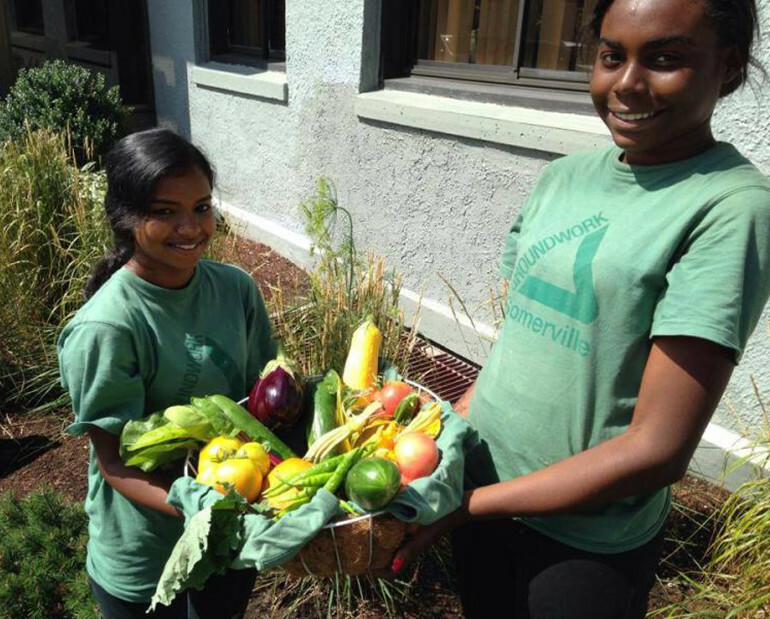 Harvested produce is sold at the Somerville Mobile Farmers Market, donated to local food pantries, and used by the Green Team for special events and healthy eating workshops. 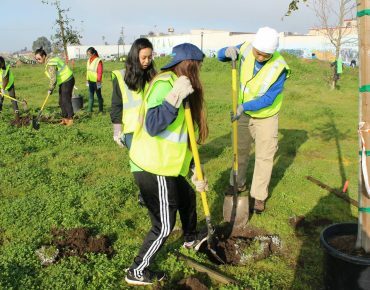 GW Somerville’s Green Team also maintain 10 school gardens across the city. 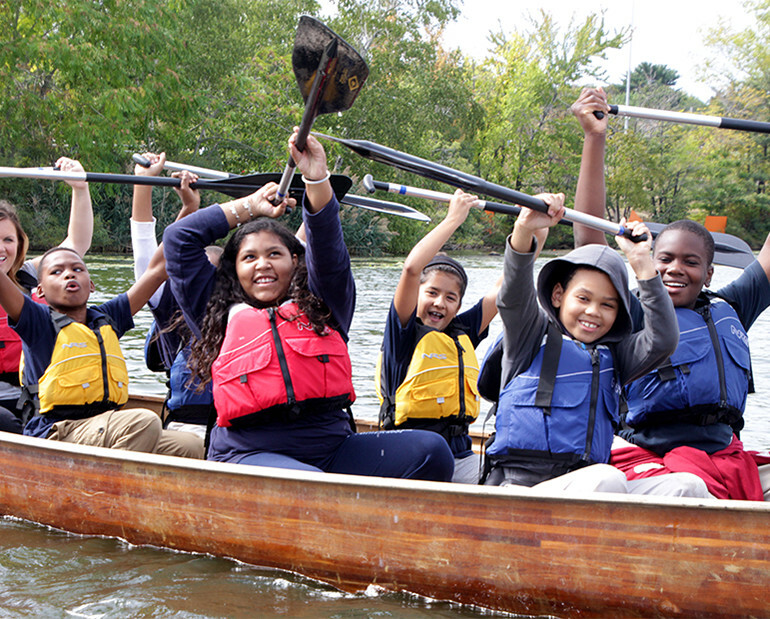 The Wilderness Inquiry Canoemobile travels to Somerville and Boston as a part of a nationwide tour to deliver a canoeing program to underserved urban youth on their own urban rivers. 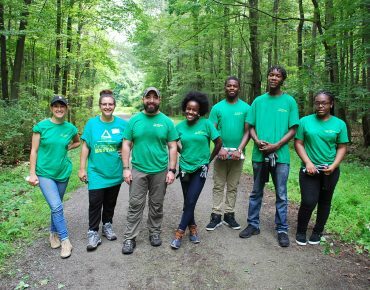 In addition to learning how to canoe, students also participate in land-based learning stations that include historical/cultural interpretation, environmental education through water quality, urban forestry, and outdoor recreation. Groundwork Somerville helps host the event on the Mystic River.